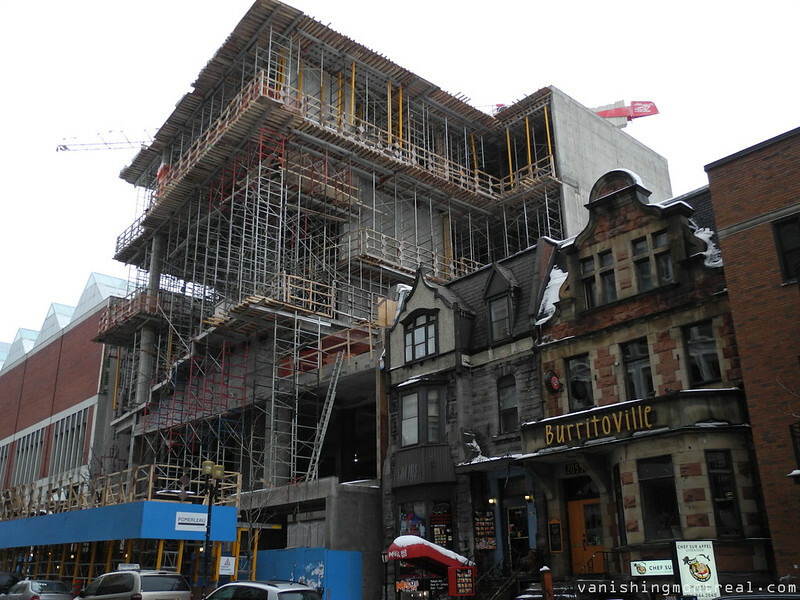 Construction of the extension for the Michal and Renata Hornstein collection to the Montreal Museum of Fine Arts is on-going on Bishop street. La construction du pavillon pour la collection de Michal et Renata Hornstein du Musée des beaux-arts de Montréal est en cours sur la rue Bishop. I didn't know Hitler needed a new bunker.All joking aside, the Burritoville building represents a time in architecture when buildings had elegance. Just a shame that as time goes on we seem to going backwards in our building standards.